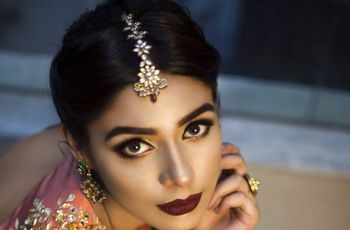 Don a Lustrous Look with These 11 Lakme Makeup Kit Box Essentials | Wedding Tips ARE YOU A VENDOR? 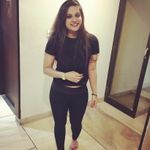 Looking beautiful and attractive is every woman’s desire. 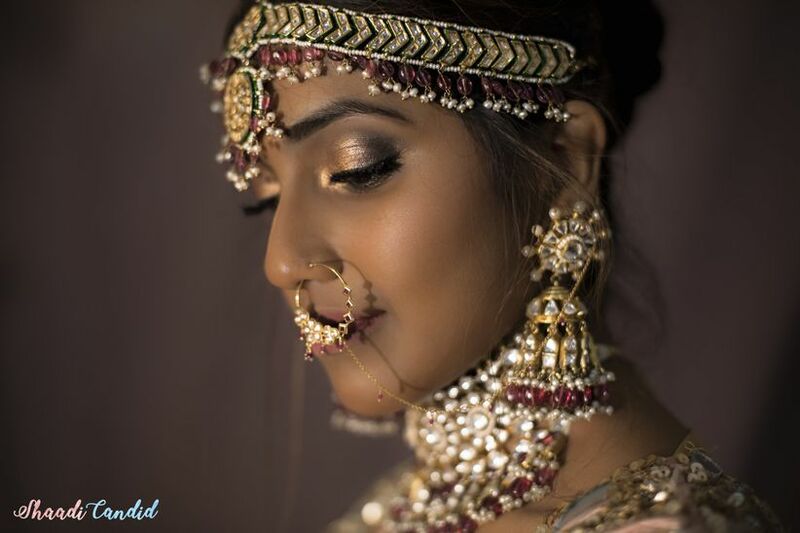 Aside from your wedding shopping, bridal makeup kit is one of the most essential buys a bride invests in. Read on to find what’s essential and what isn't to stock your Lakme makeup kit box! The timer is set! Invites are out! You are down to the very last bit of your wedding festivities. 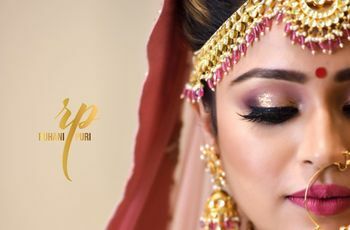 Given to the myriad of lunches, dinners, Dawats and parties that await you post marriage, you really need to hook yourself up with a handy makeup kit(believe it or not it is also going to be your survival kit). 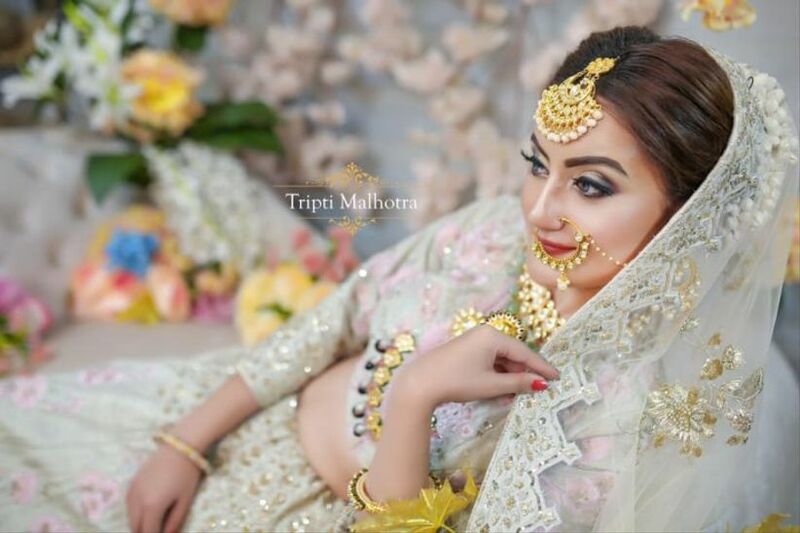 You cannot make a run to a bridal salon or hire an MUA for every occasion. Can you now? Therefore, it's time you take the matters in your own hands and become your own makeup guru. We will help you prep and build your very own Lakme makeup kit box quick and easy. Comprising of some pocket-friendly cosmetics, this kit is all you need to bring your inner beauty on the outside. What Makes These Products a Hit? Want to combat the overdose of Vitamin D? This SPF- 8 formula mousse will help you do just that. It is a feather-light mousse that easily blends into your skin and seamlessly gives it an even texture and appearance. It is packed in a travel-friendly bottle, which makes it an ideal pick if you are headed to your honeymoon or otherwise as well. With a naturally matte finish, this tiny bottle of magic is all you need to amp up your face quick and easy. Wish you had a magical potion for all your beauty worries? A first of its kind, this is a three in one featuring optimum range of primer, foundation and face powder. The power of three in one. This is a quick fix for a woman who is a go-getter. Perfect for a newly-wed bride who has to juggle office, personal life and endless post-wedding functions, this tiny addition to your Lakme makeup kit box is the miracle we've all been waiting for. Not only of us were born with naturally blushing cheeks? But, that shouldn't restrict us from achieving that perfect blend of rosiness. Does it now? The Lakme Absolute Face Stylist Blush Duos has a luminous, silky formula which gives a natural-looking rosiness to your skin. This tiny bauble of happiness is what you need to add in your handy Lakme makeup kit box right away! Don't we all spend hours and hours gawking at social influencers and MUA perfecting their winged eyeliner and eyeshadow? We sure do! This radiant shimmer based colour palette offers a two in one option for you ladies! Perfect for an easy breezy office look and bol for a night-out, mix and match shades to create new looks every day! Add this to your Lakme makeup kit box and feast the eyes of your onlookers. The eyeliner wing is not winged enough! Sigh! Something each one of us has said at least once in our lifetime! To turn your woes into a wow, define your eyes to perfection with Lakme’s Absolute Eye Artist Liquid Liner. It is a pen style liner, which makes it an easy applicator(say bye-bye to liner infused hands). Don't we all wish we had a kajal that didn't smudge? How many odd hours has each of spent in finding this perfect stick of sheer magic? Endless! Hands down this little bauble is what you need to stock up in your Lakme makeup kit box right away! 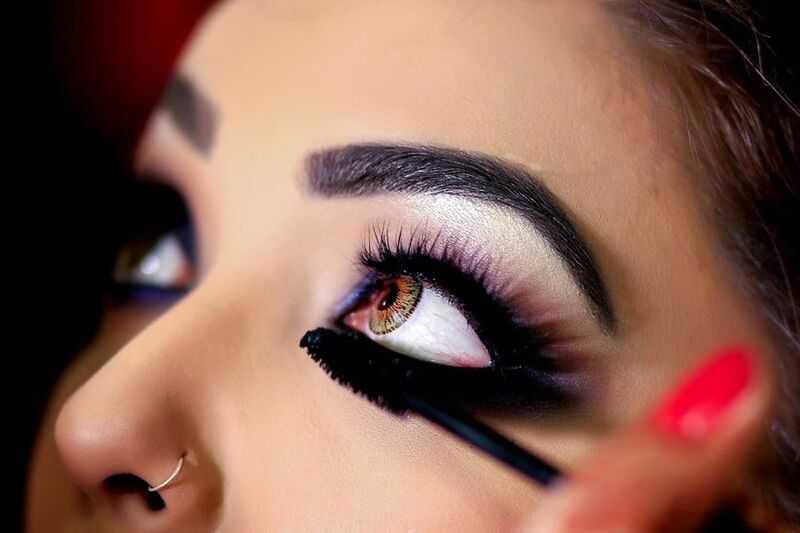 Accentuate your eyes with Lakme Eyeconic Kajal and let your eyes do the talking for you! Entice them in your lashes! Yes! Curl your lashes with this stunning mascara! Easy to apply with a lightweight formula, add volume to each and every eyelash with one easy stroke. This mascara will also nourish your lashes and keep them moist. Isn't what every girl dreams of? Beauty with a dash of care? We certainly do! It is infused with panthenol that retains the softness of the eyelashes. Flatter your lips with these handy beauties. They are legit magic in a stick! One stroke of contoured perfection is all you need to get a chiselled and well-defined lip. Use it once and you won't be able to keep yourself from stocking up on all the colours. A lippie from this range is all you need to complete your Lakme makeup kit box. Comes in 20 stunning shadesMatte texture and finish. A key to a perfect pout? It's the right shade of lip liner! With its super gliding, satiny finish it feels beautiful on your pout. Have the right shade for your lips? A good lipstick is incomplete without a matching lip liner, which would prevent it from bleeding out. So, invest in this beauty and say bye-bye to your faltering lip colour. Believe it or not, aftercare of your lips is quite important. The key to having supple and soft lips is how much you prevent them from chapping and running dry. One easy way to do that is by investing in a good lip gloss which not only accentuates its beauty but also protects it from dust and other such elements. This revolutionary 3D lip gloss provides a luscious sheen and has a smooth gliding consistency. A great way to jazz up your nails is by wearing nail paint which suits your skin tone and personality. 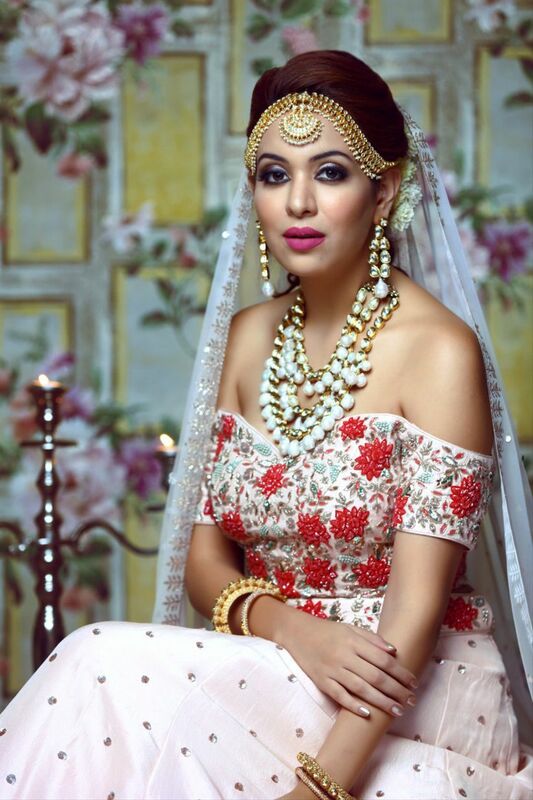 Lakme’s new range is perfect to wear no matter what the occasion is. Funk up your nail art and stock on these tony baubles now! Hope you enjoyed this rendezvous of what's is and what isn't essential when it comes to building your own Lakme makeup kit box. 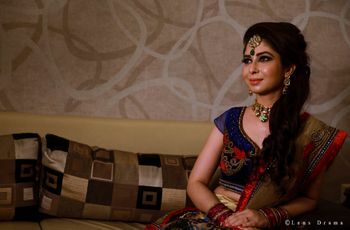 Become your own makeup artist and say bye-bye to salon visits before every lunch, brunch, dinner-dates and Dawats. Bookmark this checklist if you don't want to miss out on anything. Did you stock up your Lakme makeup kit box yet? Tell us through comments!